ComeOn casino looks like the inside of a hotel bar from the 80’s. It is wood balustrades and paisley wallpaper at every turn and quite frankly, it looks fantastic, really good job of the design team. You are greeted with a moving homepage that mimics the movement of your mouse and adjusts the background accordingly which can distract you for far longer than it should. The site runs smoothly and is very well set out. All in all, a good piece of design and development work. 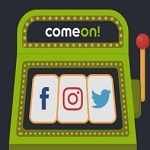 Launched in 2010 powered by that old faithful NetEnt, ComeOn casino feels a bit different to most of the other black tie and dark dingy casino floor based games. It’s this design work, the affiliation with NetEntert and this uniqueness that have built up a good reputation for ComeOn Casino in a pretty short space of time. ComeOn offer a wide range of languages for you to play in; English, Swedish, Norwegian, Dutch, Polish, Chilean, German and Austrian to name but a few and the website is available pretty much the world over, bar an obvious omission, The United State of America. ComeOn casino certainly looks like one to keep your eye on. Sign up and you will receive extra spins, it’s pretty simple. You do have to make sure you sign up to the right part to get your extra spins mind you. 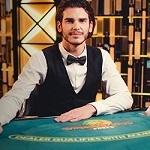 If you just sign up to ComeOn in general or the live betting, poker or Live casino areas then the rules are slightly different and you will receive bonuses that are more in keeping with the specific zone. It is worth bearing in mind here that the extra spins are only available to use on one of their more popular slot machine games, Boom Brothers, but this isn’t an issue as it is one of the best lost games out there anyway and probably one that you might consider spending your extra spins on anyway. For other 20 casino spins offers, check out our new 20 free spins no deposit page. ComeOn certainly don’t shy away from the bonus culture that is prevalent in the market today. Make a deposit and they’ll match it up to a certain level. More importantly though perhaps are the player points which you build up for pretty much everything you do in the casino. You can cash in these player points for prizes at a later date so it’s definitely worth considering. Points mean prizes. ComeOn has a mobile version which is easy to use and responds brilliantly to the games. More impressively perhaps is that they have included what appears to be all of the same functionality in the mobile site as they have in the browser site, all whilst keeping load times down and the movements smooth. 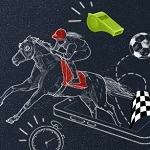 No mean feat as has been proven by several other casino’s attempts to do a good mobile site. The games on ComeOn casino are varied and entertaining. They have several different areas for you to explore, Sports, Live betting, Casino, Live Casino and Poker specifically. Although we are focusing more on the casino area in this review it is worth mentioning that the live casino and poker areas are both a fantastic way to spend a few hours themselves, simply an extension of the good casino area that ComeOn have built. As it happens, at the time of writing this the sports and live betting areas are down for maintenance because ComeOn are moving their license from Curacao back to the UK which means in the meantime they are unable to take bets. For your reference, these areas are due to be back online and bigger and better than ever in January 2015. The games at ComeOn casino are varied and exhilarating and you certainly aren’t spoilt for choice with over 280 to choose from. More impressive than that though is you can try every one of the games for free before putting any money down, so you can have a quick go, see what you like and then put your money where your mouth is. The support at ComeOn casino is on par with the rest of the industry, a live chat function that gives you an answer in minutes and an email address that gets back to you in 48 hours, but normally sooner. The customer service team are well trained and have representatives from a vast array of countries, speaking a huge variety of different languages so you will be hard pushed to ask a question they cannot answer. Make deposits using any of the major credit or debit cards and also nearly all of the other casino specific payment tellers out there. Deposits are almost instant and they don’t charge you a penny for deposits or withdrawals if you are a UK resident. Cushy. Question: What license does Comeon hold? Answer: The online casino is licensed by the Malta Gaming Authority and the government of Curacao (for e-games). Question: What games can be played on the Comeon site? Answer: There are more than 100 online casino games – most of which are classic slots and video slots. These come in various themes and storylines. The popular ones include Summer Dream, Mystery at the Mansion – among others. There are also table games with the popular options having different varieties (e.g. blackjack has more than 20 options). Video poker is also available on this online casino. Question: Who provides the games on the site? Answer: The games at Comeon Casino are powered by the leading game developers in the industry. These include Microgaming, Evolution Gaming, Playtech, NetEnt, Play ’n GO, Betsoft, Thunderkick, Genesis Gaming, Yggdrasil Gaming, Skillzzgaming, Foxium, Extreme Live Gaming, Fuga Gaming, etc. Question: Can I trust Comeon to be secure? Answer: Comeon Casino holds different certificates that will prove it is a secure site. Not only that, the site relies on Thawte for their security and encryption needs. Question: What are the deposit and withdrawal methods available? Answer: For the deposit methods, the options include VISA, Visa Electron, Visa Debit, MasterCard, Maestro, PayPal, Entropay, Neteller, Paysafe Card, Diners Club International, Sofortuberwaisung, WebMoney, Skrill, Skrill 1-Tap, and Online Bank Transfer. For withdrawals, the options include VISA, Visa Electron, Visa Debit, MasterCard, Maestro, PayPal, Neteller, Skrill, and Bank Wire Transfer.